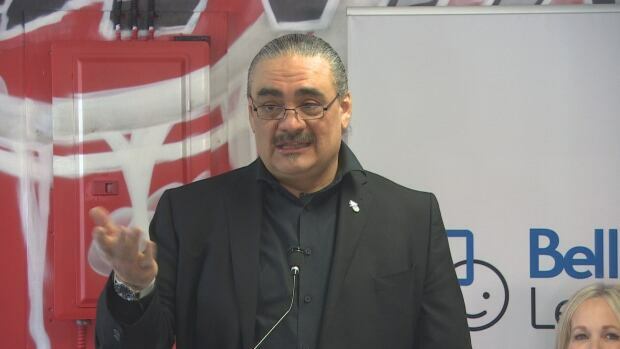 Winnipeg’s Bear Clan Patrol has another $200,000 in operating funds thanks to a pair of donations. Telecommunications company Bell Canada donated $150,000 to the Selkirk Avenue-based communuty organization on Wednesday. The City of Winnipeg contributed another $50,000. The money will allow the citizen patrol group to employ nine people and organize 1,500 volunteers in 45 communities, co-founder James Favel said at a media event at the organization’s new office. This represents a lot of growth since the patrol was founded in 2014, he said. “We were 12 volunteers, we had a budget of $900 and we served only the community of Dufferin, where we are now,” Favel said Wednesday, adding the organization’s growth has been challenging to manage.